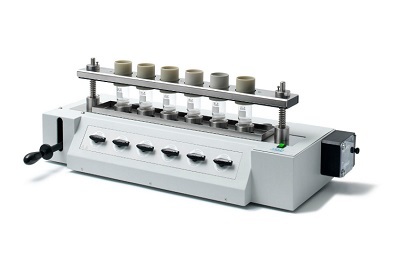 Analytical instruments: are a large class of instruments used to separate, identify, and quantify matter. These instruments are used to analyze materials and to establish the composition. A few examples of these instruments are mass spectrometers, gas chromatographs, potentiometric titrators, ion analyzers, polarographs, and coulometers.